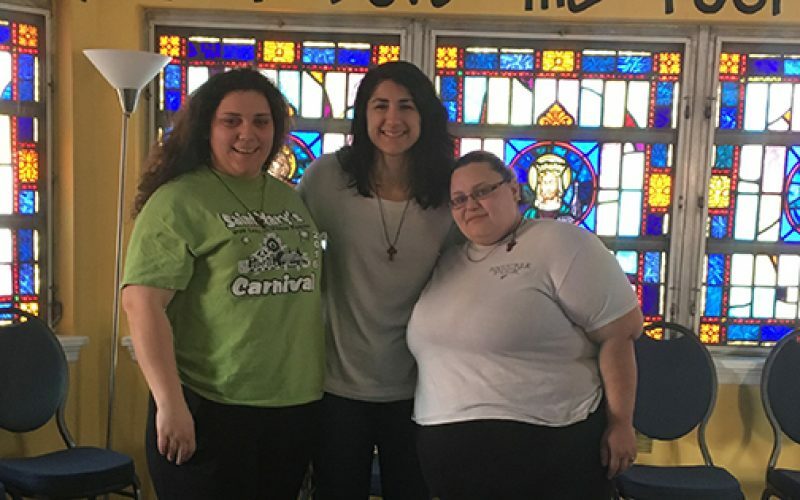 Last week, two students from Rowan University’s Catholic Campus Ministry spent their spring break not suntanning in Cancun, or skiing in Colorado, but learning how to serve the poor and vulnerable in Camden. 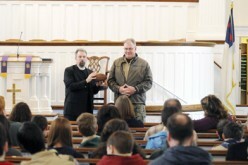 Alicia Foreman, a sophomore at Rowan College of Gloucester County, and Jen Galanek, a freshman at Rowan University, joined other college students for the Romero Center’s Urban Challenge Program, a weeklong immersion and retreat built upon the four areas of prayer, service, education and reflection. 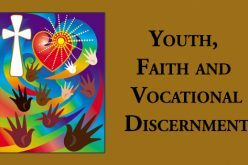 Based in one on the nation’s poorest cities, the Romero Center Ministries provides Catholic education and experiences inspired by Blessed Oscar Romero’s prophetic witness. 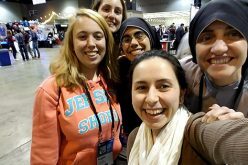 During their time in one of the nation’s poorest cities, the two, with other young adults and Nina Camaioni, coordinator of Rowan’s Catholic Campus Ministry, learned how to live on $3 a day, the amount of daily food stamps; packaged meals at the Food Bank of South Jersey; and shoveled snow for their Camden neighbors. “To be able to be the hands and feet of Christ, was such a blessing,” she said. She explained that someone she was close to once battled addiction. She was “a heroin addict, homeless in Camden when I was a child, one of the many forgotten people that lived in this city. She escaped the city, but the damage it did was lasting,” she explained. “If I can help others, I will. 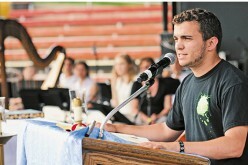 I need to use the gifts God gave me to help others,” Galanek added. She and her two students, though, know the challenge is not over, and intend to bring their week’s worth of Camden lessons, back to their fellow students in Glassboro. “There’s still so much we need to do,” she said. What is ‘Theology on Tap’?